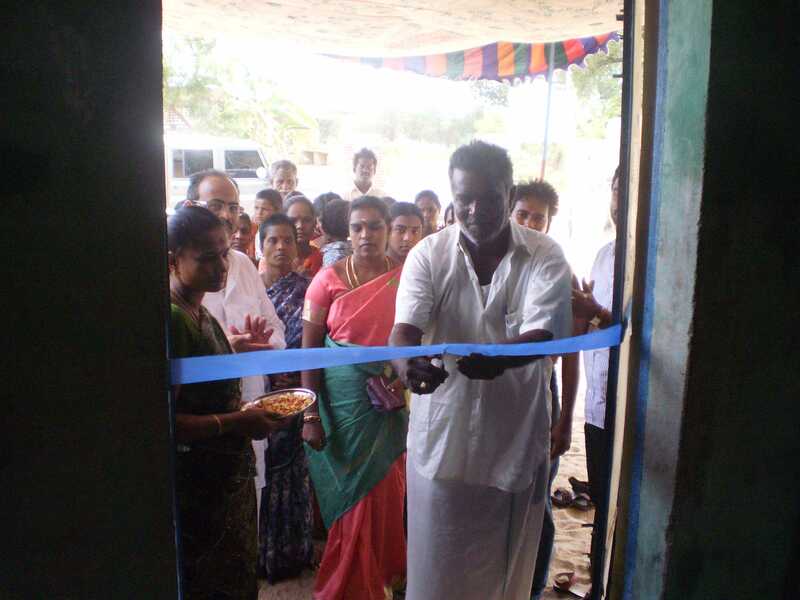 Sevalaya Charitable Trust functioning 40 Km west of Chennai. Sevalaya runs a free higher secondary Tamil medium school, where nearly 1500 underprivileged rural students are provided quality education. It also runs two homes for girls, Annai Theresa home and Swami Vivekananda home for boys housing, 160 orphans and destitute an old age home housing 60 senior citizens, a cow shelter providing shelter to nearly 40 cows, a craft centre where village ladies and girls learn skills like tailoring which empower them to stand on their own legs, Vivekananda library having nearly 15000 books and kasthurba a medical centre. All services are provided free of cost. Sevalaya also runs a free Library, Tailoring Centre , Computer class in Vadanallur. Sevalaya is now opening yet another free Tailoring Centre at Ayalur dated 28.05.2012. This inauguration was presented in presence of, Mr. Megavarnan – Vice President Ayalur Panchiyat, Mrs. B.Gomathi Babu President Ayalore. The Chief guest said that, this centre would surely help the rural women to fend for themselves and maintain their life with dignity. This centre will benefit Ayalur village ladies who find it difficult to commute all ways to any other facility. Earlier Mr. V. Muralidharan, Founder & Managing Trustee welcomed the gathering and Mr. L. Loganathan, Gandhi Unit Head proposed Vote of thanks.